A £100.00 NON-REFUNDABLE DEPOSIT (upon cancellation) will secure your dates and booking with the remainder being due a clear 8 weeks prior to the start of your holiday, however, should your break be less than 8 weeks then the full cost will be due at the time of booking. The deposit will then become your security/cleaning/damage bond, this will be returned to you if full approximately a week after your departure once the caravan has been checked and found to be free from damage. If there is evidence of smoking or pets found in the caravan, then we reserve the right to withhold £40.00 of the bond in order to deep clean the van. If you do smoke around the outside of the caravan, could you please ensure that all evidence is removed prior to your departure. Equally, if any damage has been caused whether accidentally or maliciously, then the security bond will not be returned proportionately to the cost of repair/replacements/excess claims. 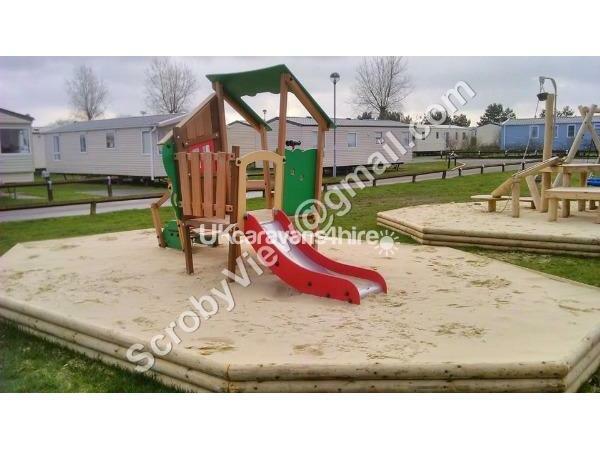 We want you to enjoy our holiday home and have a lovely time as we do, but we also respectfully request that you look after our Scroby View whilst you are hiring it from us and hope that you will recommend us to your friends and family. 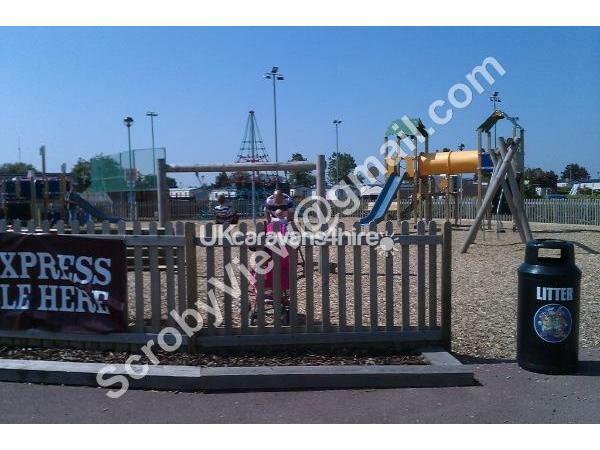 Please QUOTE SCROBYVIEW or userID 3048 when enquiring (I handle bookings for another caravan on Seashore) and state the dates that you are interested in hiring, the number of people in your party with the ages of any children (under 16 at the time of the holiday) eg. 2 adults & 3 children, 10,7 & 5. 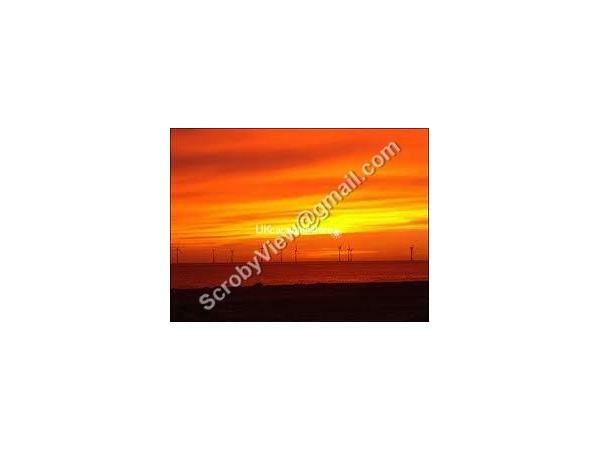 Please feel free to contact me via email, text message, facebook page (www.facebook.com/scrobyview) or through our website, www.scrobyview.webs.com or telephone call for availability and prices. 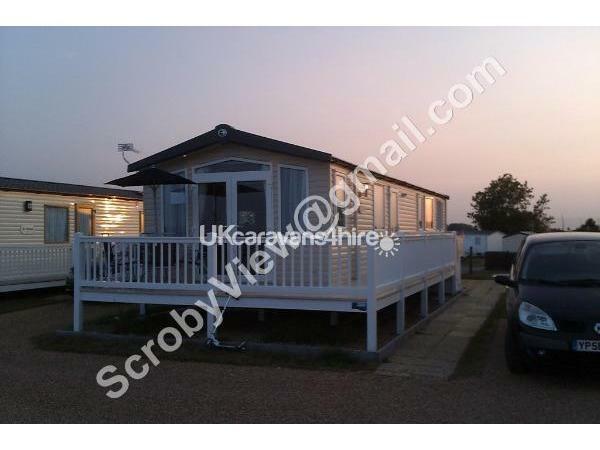 Welcome to Our delightful SCROBY VIEW located at the popular SEASHORE (Haven) Holiday Park in Great Yarmouth, Norfolk. 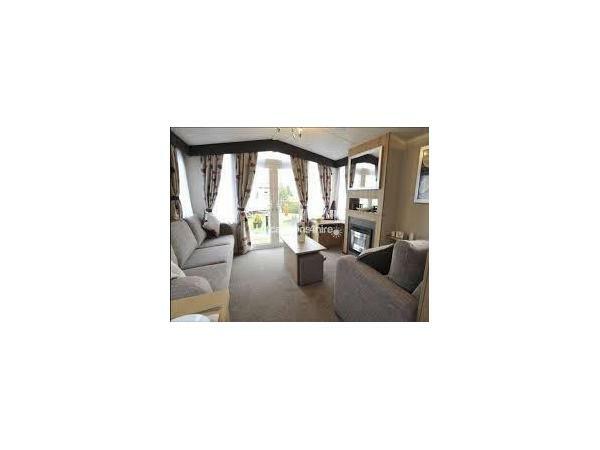 Our family owned luxury caravan is available for private hire between mid March and to the End of October only. It offers comfortable accommodation FOR UP TO A MAXIMUM OF 6 PEOPLE and benefits from the installation of gas fired central heating and Upvc double glazing throughout. The patio doors open out onto the decking area providing additional seating and a relaxing viewing platform in which to be able to spot the seals bobbing along or to just sit and unwind, enjoying the views overlooking Scroby Wind Farm, sand dunes and Great Yarmouths' beautiful beach with a bottle of wine or mug of Hot Chocolate..
We are enviably located on park centrally between all the sites main entertainments and amenities. NEW DEVELOPMENTS FOR 2019! Millions of pounds are being spent on Seashore over the winter clise down and should be ready to enjoy by the start of the season. The Mash and Barrel has been revamped and updated and boasts a new menu and layout as The Coast House Restuarant, Grill Bar and Cakery! Yum yum. The pool complex is also having a makeover with a 4 lane slide, flumes reinstated and a Splash Village. All this is just a short walk from our little bit of heaven. And if its the amusements, bingo, a newspaper or to stock up ready for the morning bacon butty, then you've only a 2 minute walk to the rest of the sites facilities. If you've any questions about anything on site then please do get in touch. Being based on a HAVEN site means we have to following their LETTING RULES and we therefore cannot accept bookings from young couples/singles, where the average age is under 25, and/or all male / all female groups. PAYMENTS: THE BOOKING DEPOSIT IS NON-REFUNDABLE upon cancellation and IS DUE WITHIN A DAY OF REQUESTING A BOOKING, WITH THE BALANCE/HIRE COSTS DUE A CLEAR 8 WEEKS PRIOR TO THE HOLIDAY OR IN FULL AT THE TIME OF BOOKING SHOULD IT BE LESS THAN 8 WEEKS TO DEPARTURE. The booking deposit is in addition to the hire costs and does not form part of or deducted from the hire charges. METHODS OF PAYMENT ACCEPTED: Bank transfer (preferred method), cheque via post upon request. Paypal is not accepted. PLEASE NOTE: I'm not mean, I UNDERSTAND THAT EVERYONE IS BUSY, HOWEVER I WILL NOT HOLD DATES UNDER ANY CIRCUMSTANCES, THE ONLY WAY TO SECURE THE DATES THAT YOU WOULD LIKE IS TO ENSURE THAT THE DEPOSIT AND COMPLETED BOOKING FORM IS RETURNED. A BOOKING WILL NOT BE CONFIRMED UNTIL DEPOSIT/ BOOKING FORM HAS BEEN RECEIVED AND CLEARED. DATES REQUESTED WILL REMAIN FULLY AVAILABLE AND WILL BE ALLOCATED TO CLIENTS WHO COMPLETE THE BOOKING CONDITIONS ON A FIRST COME, FIRST SERVED BASIS. If I receive 2 forms then the latter shall be offered an alternative date or refunded deposit. Please refer to the Great Yarmouth Whats On guide to check out what is on during your stay!! If there is anything more specific that you would like to know then please feel free to contact me and I shall do my best to help. Additional Info: Activity passes can also be purchased, these will allow you to book additional sports and leisure activities such as Archery, fencing, target shooting, wall climbing, aquajets, kayaking, turbo paddlers, snorkelling, learn2swim, learn2ride, bike hire, go-carts, aqua gliders, water walkers and many more. We have just returned from a week's stay in this lovely caravan. It is in a perfect place on the site, being very well situated for all the main facilities and yet we were not disturbed by noise at all. Sitting on the new furniture looking at the sea view from the veranda absolutely made our holiday. Terri was a pleasure to deal with. Would not hesitate to recommend to others. This was our sixth stay in this fabulous caravan. I take my elderly mother twice a year. It really is a home from home. Very comfortable and very well equipped. The location is second to none. 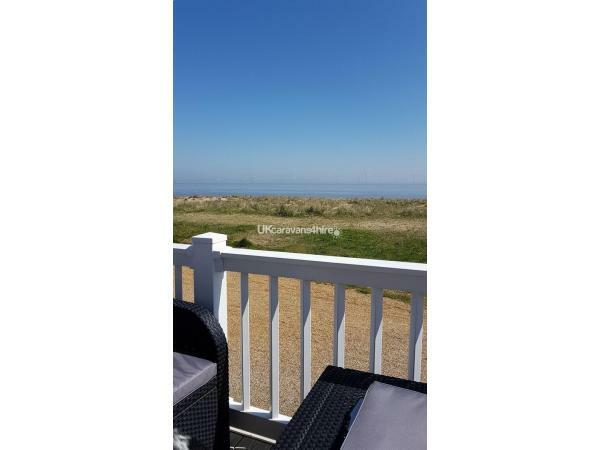 Sat on the sofa or veranda looking at the sea, it's so peaceful. Not far in the car to the pier and town, or to the big supermarkets Sainsbury's and Asda so you can stock up on your groceries if you prefer to eat indoors. The owner, Terri, is so friendly and helpful. Absolutely delighted to recommend this caravan to anyone. Had a fabulous time at one of the nicest caravans we have ever stayed in and we have stayed in a lot!!! It is on the best position on the site the view is just amazing and we saw two seals as we unpacked the car.We didn't want to leave. Thank you Terri and family for sharing it with us. Hope to come again soon. First the moans........NONE!! 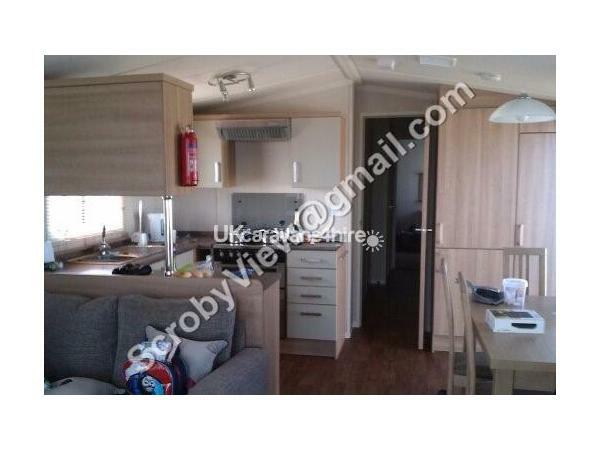 This caravan is by far the best we have ever stayed in .very very clean position is the best on the site . Very close to restaurant but no noise . Did not get much time to explore site but it certainly has enough to keep family's busy . Used mash and barrel for main meals again no moans there . Will 100% rebook this caravan . 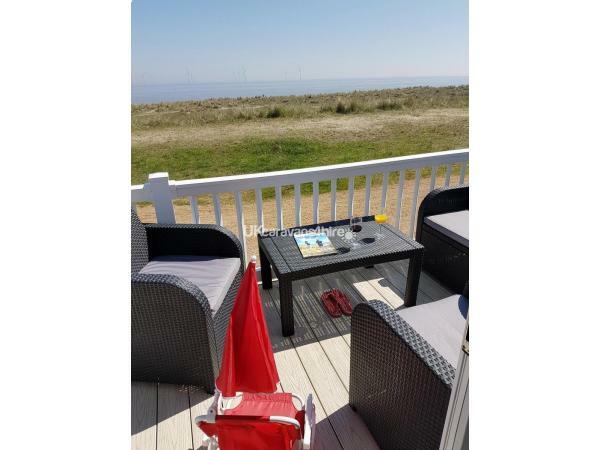 Already missing sitting there with a drink gazing out to sea (whilst trying not to look to smug to people passing by) if you like caravan holidays by the sea you really can't beat scroby view . Perfect . Still can't think of a moan . Sorry. We stayed for a weekend with my sister and her partner to celebrate her birthday. As it was October the weather was 'mixed' but we didn't mind spending an afternoon watching films and eating cake as the caravan is really warm and cozy, and you have a good view to look out at. 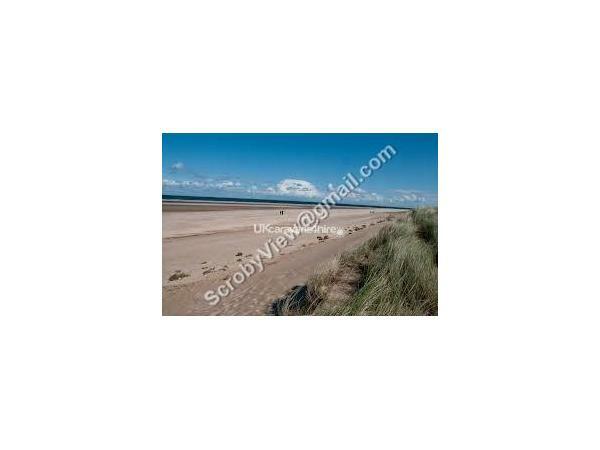 Really short walk to the Mash and Barrel pub on the site and Great Yarmouth aceesible by walking, taxi, or the land train from near Recption. Caravan was clean and the booking process was easy. Had an excellent weekend. Thank you. we had a great bank holiday weekend in this caravan.it is centrally located on site with just a five minute walk to either the club or the restaurant and right on the beach.take binoculars to get a great view of scroby sands.the caravan itself had everything you need and is top quality.will try to get back again this summer.terri was so helpful with our booking as we booked at last minute. We stayed in this beautiful caravan between the 4th and 11th if April 2014 with 2 adults and 4 children. We've stayed on many haven parks but this is our favourite so far. 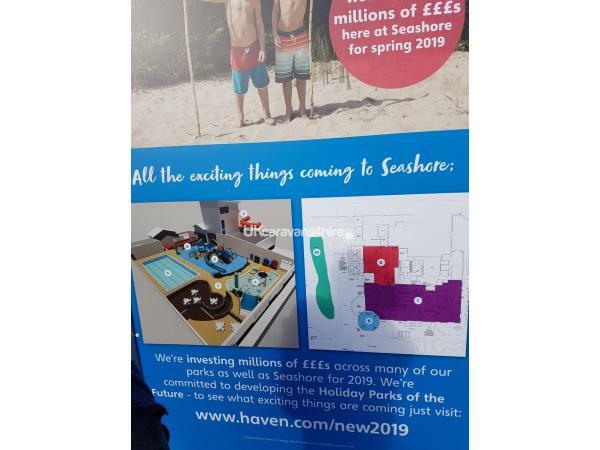 the beach is amazing with its soft golden sand, the whole park is extremely clean and well cared for, the children's play areas are fantastic and the staff were all very friendly. The location of the park is great, we used the little land train which runs from the park to the sea front amusments and pier, the kids thought it was great and it's only a 5 min ride. The caravan is amazing and it's pitch location is perfect for those with children, minimal walk to all amenities, safe area to use bikes and scooters etc and the steps down to the lovely beach are about 5 caravans along. The sea views are beautiful and the sound of waves crashing onto the beach in the morning is so nice to wake up to. The owner was super nice and so easy to book with, there were kids DVDs, books and toys which my lot thought was great and the caravan has everything from bed guards, high chairs, changing mat etc etc, saves you either taking it or paying to hire it from haven. If you've got little ones and the weathers not good dont worry, you'll be super cozy, in 15 minutes of putting the heating on its toasty warm. All in all this was a fab holiday and id highly recommend this caravan and the owner for a stress free holiday. See you next year Scrobyview!